Guyana’s State Minister, Joseph Harmon. Change pact is fit for purpose and cannot be renegotiated. This conclusion came on the heels of the US President Donald Trump Administration’s intention to withdraw from the agreement and to commence renegotiations to re-enter either the Paris Accord, or an entirely new transaction on terms that are “fair” to the country. “We are getting out but we will start to negotiate, and we will see if we can make a deal that’s fair. If we can, that’s great, and if we can’t, that’s fine,” the American President said while noting that trillions of dollars will be lost by implementing the agreement. The Paris Agreement is an accord within the United Nations Framework Convention on Climate Change (UNFCCC) dealing with greenhouse gas emissions, mitigation, adaptation and finance starting in the year 2020. The agreement was negotiated by representatives of 195 countries at the 21st Conference of the Parties of the UNFCCC Paris, and was adopted by consensus on December 12, 2015. The EU Foreign Affairs Council is, however, reaffirming that the Agreement is fit for purpose and cannot be renegotiated. The Council also expressed deep regret over what its members described as a “unilateral” decision by the US Administration to withdraw from the pact. The body welcomed the “strong” statements of commitment to the Paris Agreement from countries ranging from major economies to small island states including Guyana. “The Paris Agreement brought us together in very challenging times. It is an unprecedented multilateral agreement between nearly 200 parties, supported by regions, cities, communities, companies as well as other non-state actors across the world, to address a problem that threatens us all. It demonstrates, along with the 2030 Agenda for Sustainable Development, our collective responsibility towards the entire planet, for this and future generations, and our commitment to act accordingly,” the council in a statement noted. “The EU and all its Member States will not only implement the Paris Agreement, but are building strong global alliances to make sure [it] will be implemented, even after Trump’s decision to step back,” EU High Representative, Federica Mogherini, was quoted as saying in a release sent to this newspaper yesterday from the EU Delegation to Guyana. 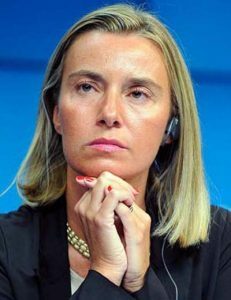 Mogherini was quoted also as saying that combating climate change is a question of security, not a luxury. Meanwhile, Guyana has signaled its intention to remain committed to the agreement. 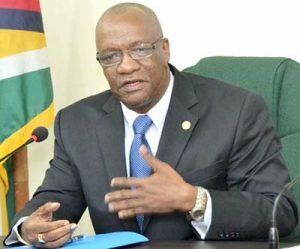 While saying that he wished not to speculate on whether small states will follow the US in pulling out of this agreement, he noted that Guyana remains committed to its obligations. Guyana is expected to honour its obligations through the development of a comprehensive Emissions Reduction Programme (ERP). “We are committed to it. We have actually seen the impact which global warming can have with effects of climate change,” the Minister said, making reference to the excessive rainfall that resulted in several communities in Regions Seven (Cuyuni/Mazaruni) and Eight (Potaro/Siparuni) experiencing severe flooding some weeks ago.